Welcome guests at your front door with this paper parasol wreath. This piece is extremely simple to create, yet it still kicks off the festive atmosphere waiting on the other side of your door. 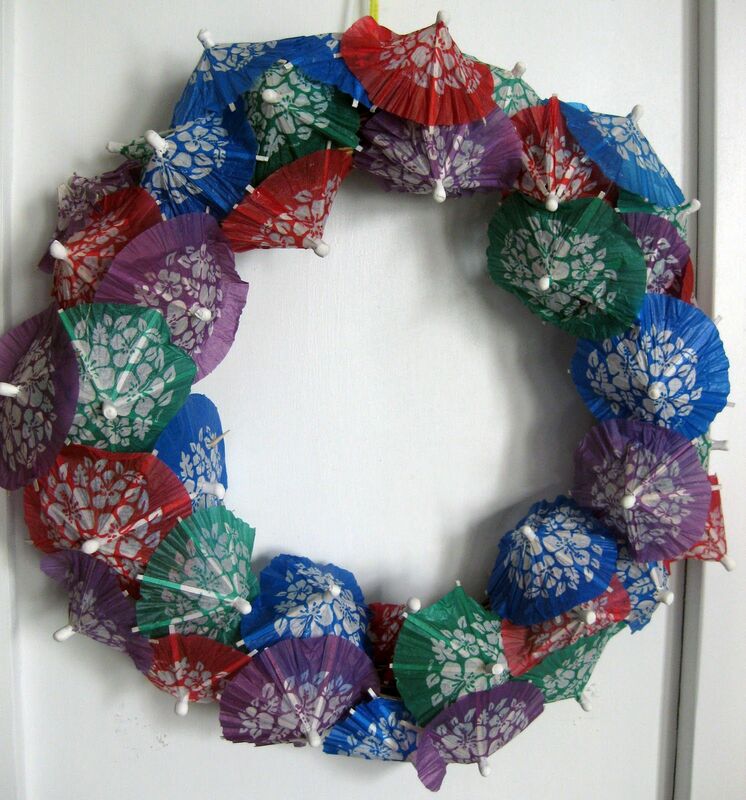 All you need are paper umbrellas and a foam wreath. No need to even use glue!